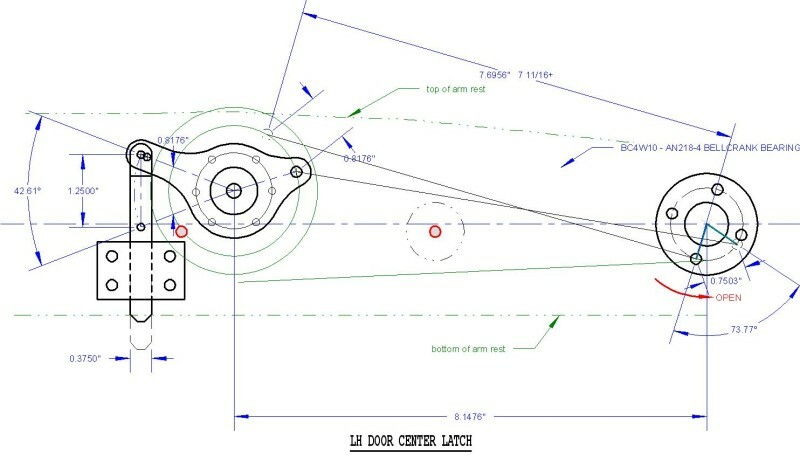 After seeing the pictures of the lower edge of the door bulging out in flight on the RV10 forum, I decided to come up with a center latch for the door that could be operated with the door lever. 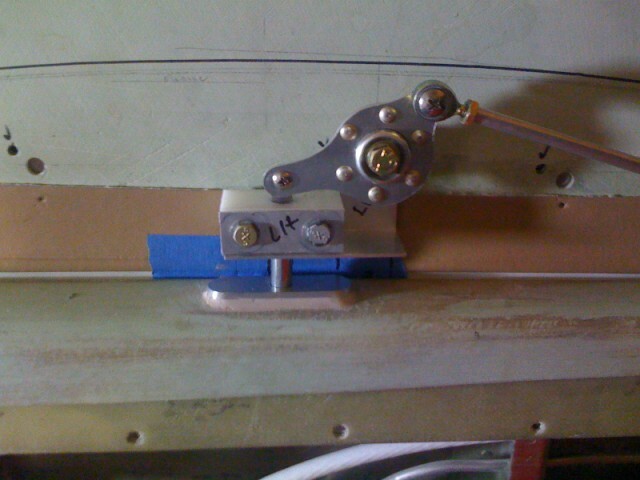 Since I already had done the interior, I had a hollow armrest that the mechanism could be hidden in. 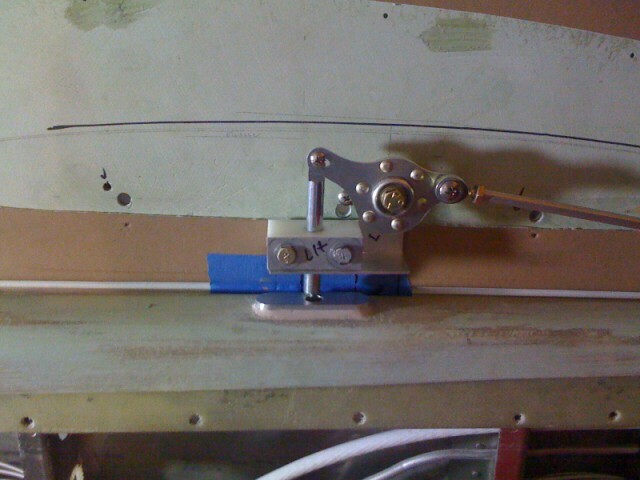 I wanted the latch pin to activate at the same time the fwd and aft pins were engaged. 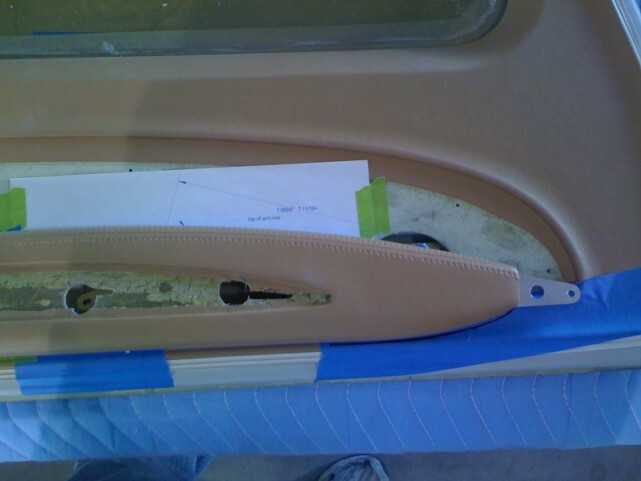 The interior of the door has a fiberglass cover that the interior is attached to. 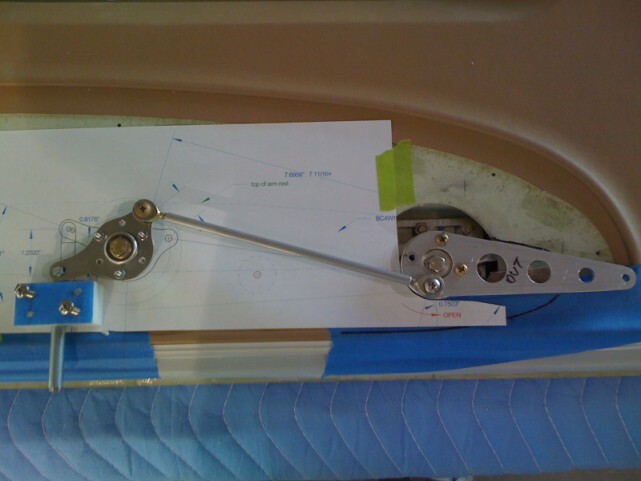 Using my cad program, I cam up with several different pivots and pin combinations that could reside inside the armrest. You can enlarge the drawing by clicking on it. 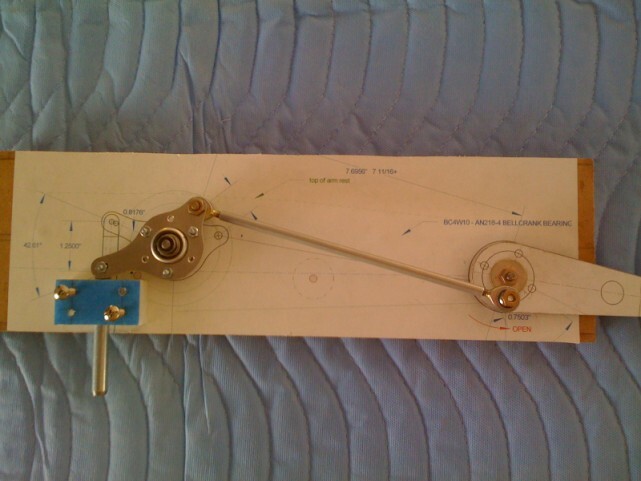 After making the parts for the door latch, I glued the drawing to a board then assembled the parts to make sure every thing worked correctly. 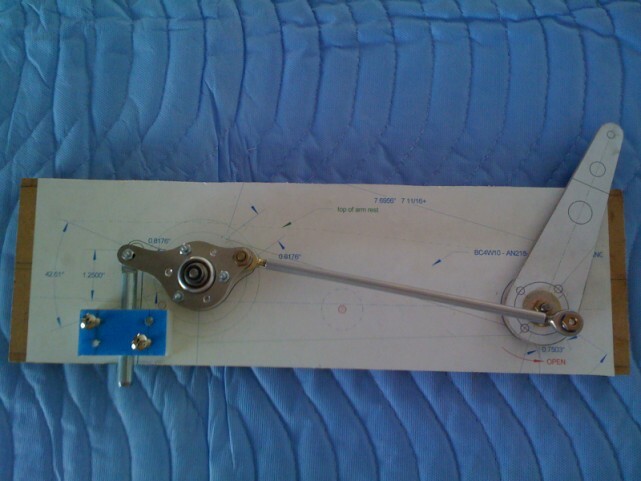 I made the pivot assemble using .09 aluminum sheet. 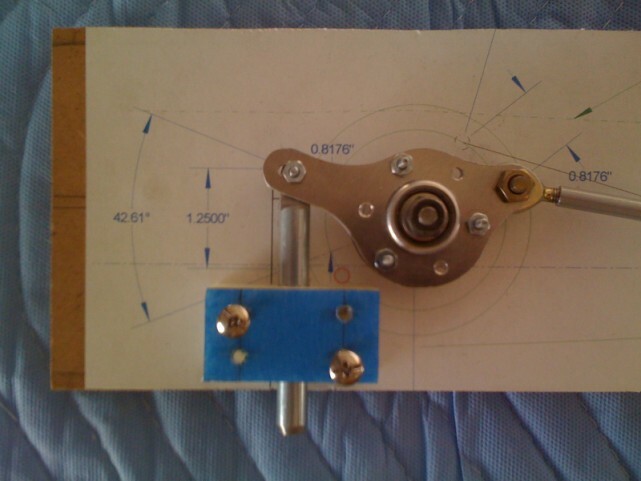 A bellcrank bearing, part # 05-03451 from Aircraft Spruce, was riveted onto the pivot assembly. 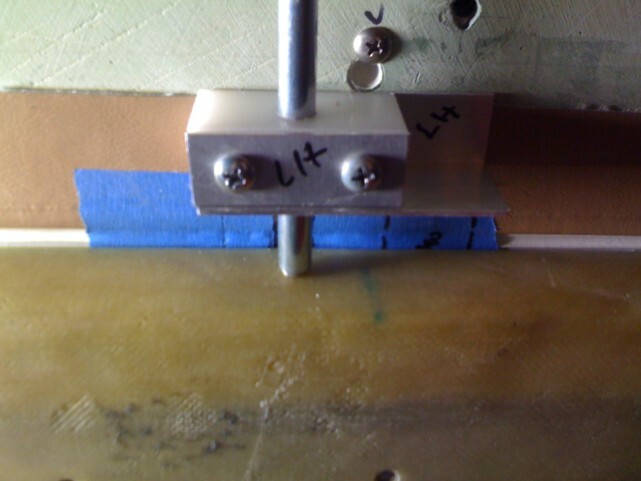 The pushrod is made from 1/4" x .049 6061-T6 aluminum tube was cut and #10-32 threads were machined into the ends. 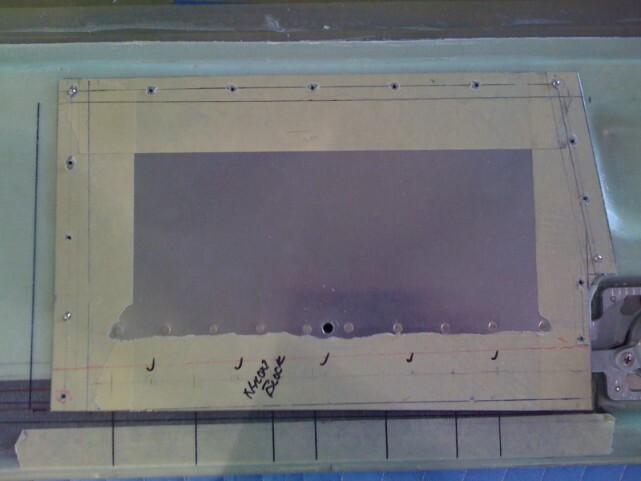 Aurora bearing part # MM-3 was screwed into the threads at both ends of the tube. 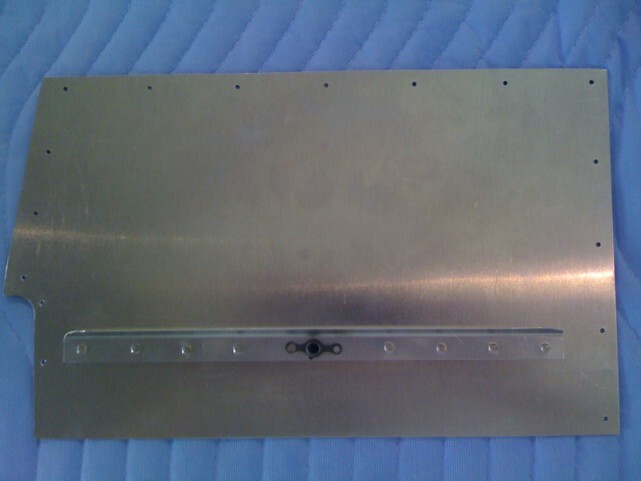 To support the mechanism to the door, I cut a 13.5" x 8" .040 aluminum sheet. 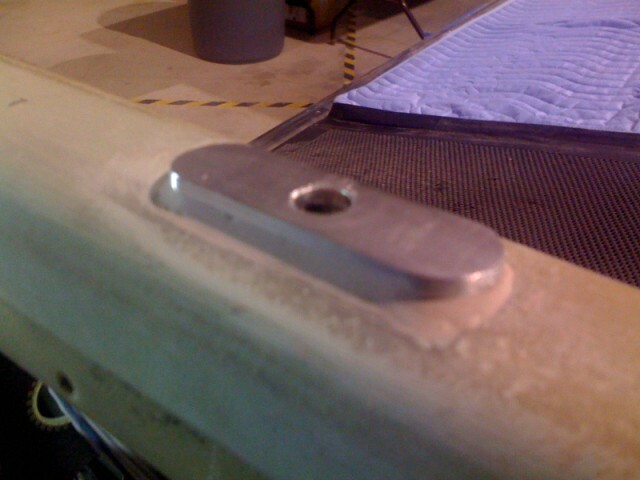 An aluminum angle was riveted to the back of the plate to add strength for the pivot bolt attach. 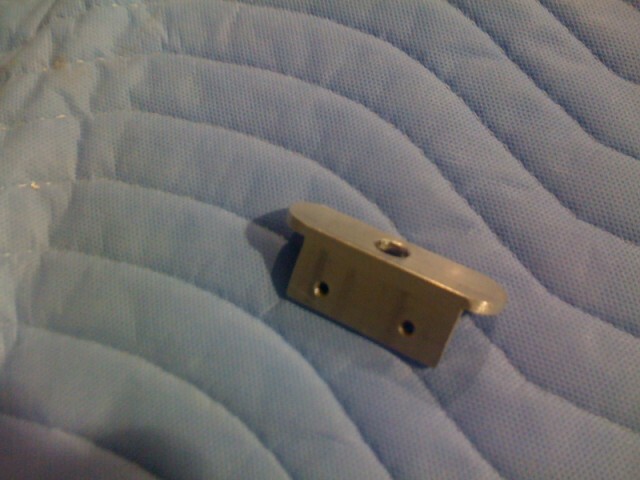 Nutplates were added for the nylon block attach, pivot and the armrest attachment. 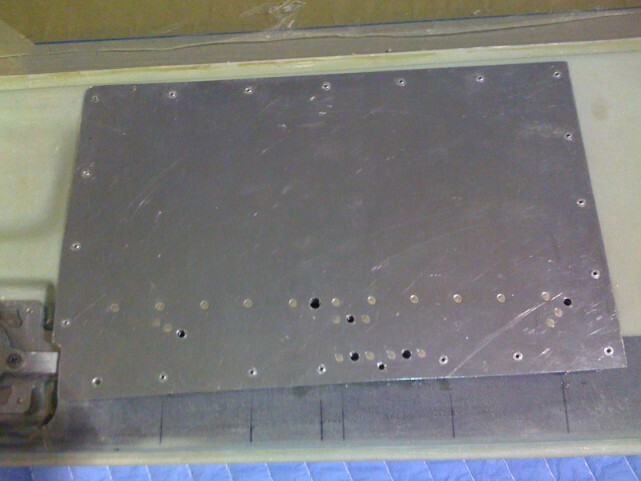 The plate was attached with a thin layer of epoxy and pop rivets. 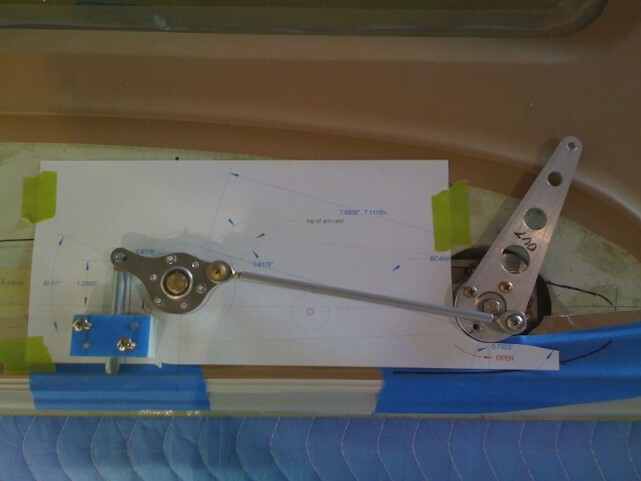 Once the operation of the latch was confirmed, a copy of the drawing was taped to the door for hole locations and the hardware was attach. 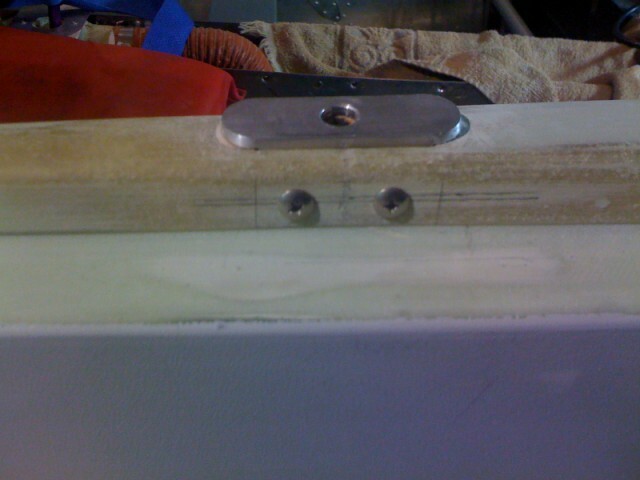 I used an 1/8" thick aluminum angle to make the threshold pin guide. My modified threshold has a cover that will go over the threshold for protection. 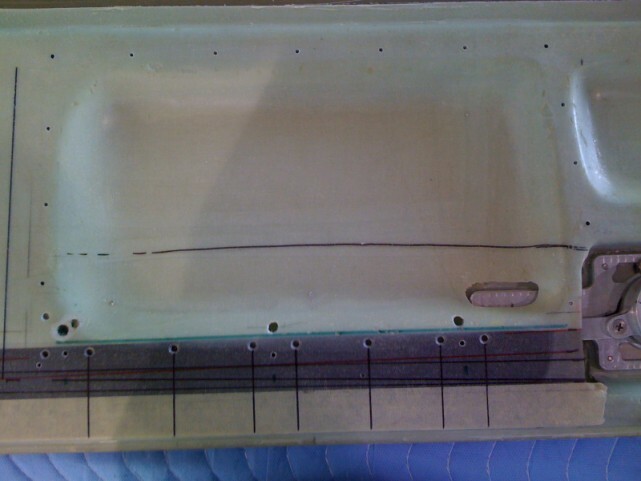 The angle would be visible, so the ends were rounded for looks. 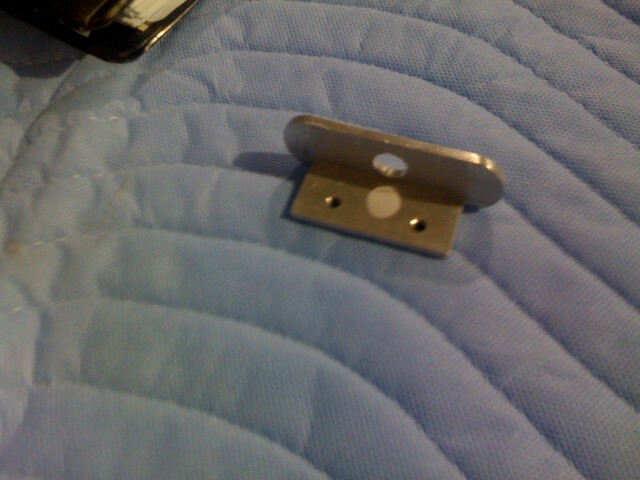 The angle is mounted in a slot in the threshold and screws hold the angle in place. 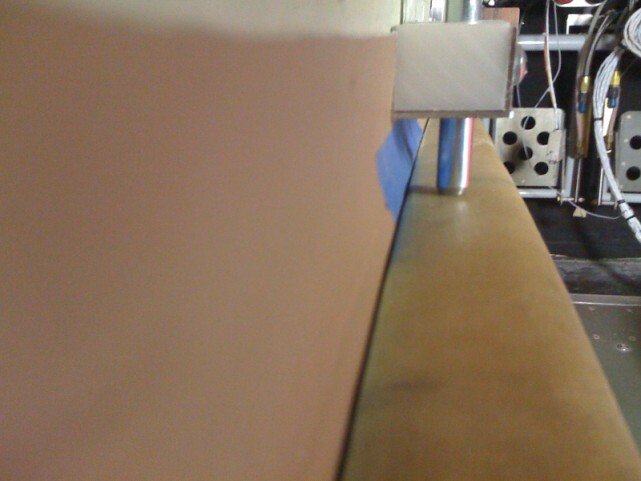 The angle would help to hold the threshold cover in position. 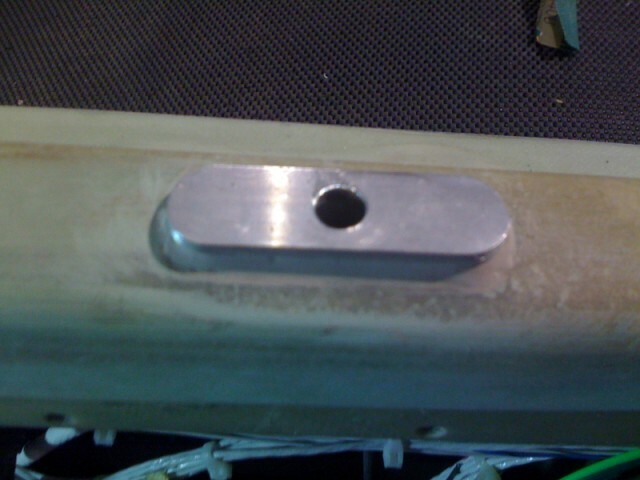 These pictures show the operation of the center latch pin as it moves in and out of the threshold plate. 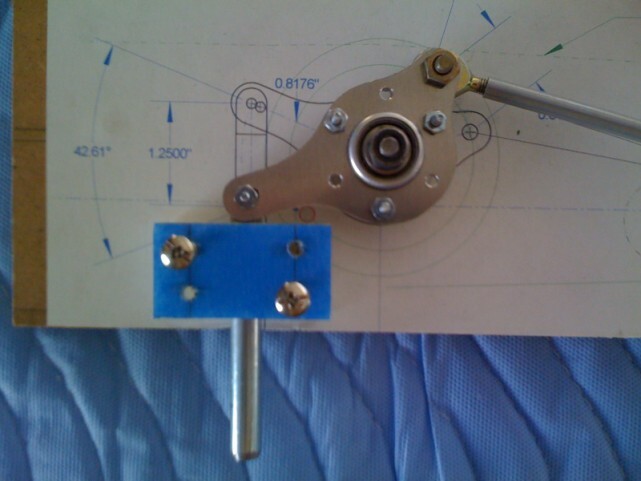 Pin movement is the same as the fwd and aft door pins 1-1/8" travel.